I think book five is the symbolic end of the series even through the is a book six. This book (5.5) is a super epilogue. It is set 4 years after book five ends and we we see some of the things play out from the end of book five. I liked that this moved very fast. Only three hours of listening, you have to move briskly. We meet a new character in this book, which I believe will be paired with Simon for book six. I really like the way Dark is winding up the series. Great job and give them all a read. What an awesome edition to the series! Helps to clear up and add to the story! Once again, another amazing book by Dannika Dark. Can't wait for more books in the future, I have never listened to a book of hers that I didn't fall in love with. Amazing job! 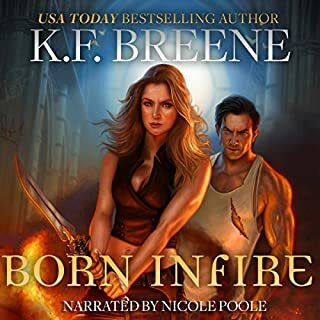 I can’t say enough about one of my favorite authors except that I am never disappointed when I pick up something written by her and it’s even better when narrated by Nicole Poole. I never read Christmas or Holiday stories during “The Season”, basically because I’m usually overwhelmed by everything Holiday related. This story is an exception. It was fantastic to see where some of my favorite characters were at in their personal lives. Since the Mageri series and the Seven series are written on different time lines we get to go back in time. It’s a special time for Logan and Silver as they receive the most precious gift of all and can share the happiness with their family. I laughed and yes, I cried. If you are a fan, there is no way you can overlook this story, it’s a definite MUST HAVE. Invest in Kleenex. They are happy tears, but it could get messy nonetheless. Dannika Dark & Nicole Poole, Happy Holidays to both of you and thank you for making our holiday bright & better with the release of this beautiful gem. The Oracle gives only honest reviews. Oh My God… I forgot how much I missed these characters, I kept saying out loud. Oh Logan, Oh Adam, Oh Rose.. lol and so on. I think what I love best about this book and really any others by Dannika, is that it’s like opening a book to your family. You always feel welcome and that you never want to leave. It is like coming home. This book is the perfect novella not only for the time being as its right around Christmas but because we got to see some of our favorites and what they are doing. It is kind of perfect. I am all kinds of swoony over here. Fin… Ok now I really want a Fin book, who is with me. I mean yeah Adam’s book would be fun too but I am all about Fin right now... Pretty Please!! Let’s talk about the narration for a second, Nicole Poole just does it for me, I swear she can do multiple females well, kids voice and male voices. I loved it as I have loved all her other work. Well worth the credit this book is a Gem and everyone needs to read it. i always wanted to know this part of the story between silver and logan! loved it ofc! This was a great conclusion to the Mageri series with a segway into the Seven series. I loved Nicole's narration and hope for more crossovers (no pun intended) from Dannika in the future. A great end to a fantastic series !!! What a great end to the Mageri series. There is always room for more which I hope she writes. The best thing is this book itself ties into Dannika's next series. 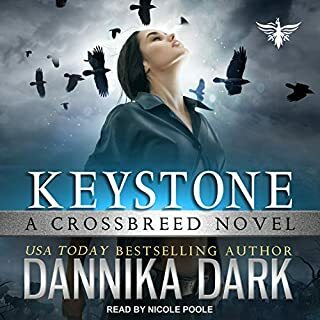 Dannika Dark is truly a gifted writer and Nicole pool is a top notch narrator. Its a performance for her, not just reading a book. 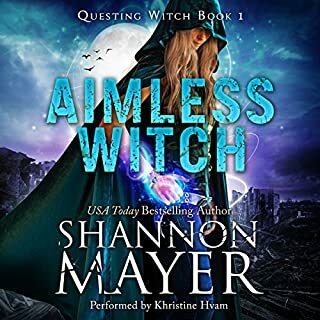 If your a fantasy romance fan, give this series a try, you won't regret it!!! Was ok, finished off the series but seemed a little thrown together. Performance was very good, Nicole Poole just got better as the stories went on, so well done. This is a story which covers all the main characters in the Mageri series, but a few years later. How their family dynamic has changed now that Silver is part of a cheeter family, wolf family and mage family. With worries for their future, it is a lovely Christmas story. 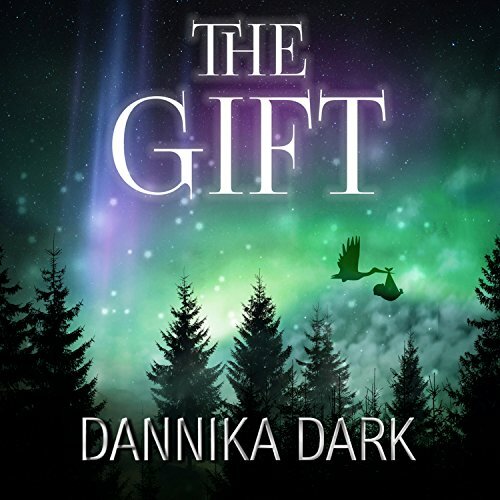 I love the way Dannika Dark instantly pulls you in as a reader to take you into each character and is so descriptive of their lives and situations and emotions! Her stories end up being so realistic that I almost believe that her characters are in the world today. Amazing! Also Nicole Poole is a fantastic reader and I would recommend everyone who loves an adventure into the unknown realms of imagination to read and or listen to this series of books! I loved them! The only negative I can think is is that the series has ended!!!!!! It’s Christmas time and the whole extended family and friends group in the Mageri world gets together to celebrate. 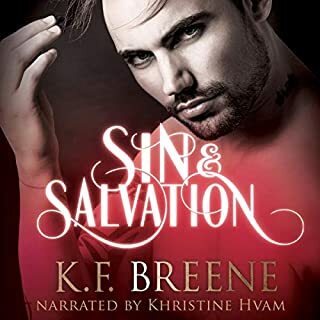 Simon is his usual sweet, funny self, Justus shows more romance than he ever thought was possible and Adam is still making googly eyes at Sadie but what really steals the show is Silver and Logan’s desire to have a child of their own. This short Christmas addition to the series had me all sweetened up by the cute antics of each family member but if you’ve read Dark’s other series Seven (and I highly recommend that you do) then you will understand why I cried at the ending. Wow. This book might be smaller than Dark’s previous books, but it packs one hell of a punch. Normally upon coming to the end of a book series I have really enjoyed I would feel a sense of loss at no longer having that book to read or listen to but in the case of The Gift I had a sense of peace and closure. Wonderful ending to the series and really the icing on the cake for a great story. 10/10 for this series overall.